Marvel Comics writer responds to a DC Comics executive who claims the lack of gay weddings in books DC publishes is due to the fact that superheroes are not supposed to be happy: "It's just lazy storytelling." Charile Hunnam will not be Christian Grey after all. Documentary film director Roger Ross Williams on the rise of anti-gay animosity in Uganda: "Everyone I've talked to in my film has said, 'You know, look America's lost.' As marriage equality has passed, America is lost to them, but they are winning the war in Uganda. And they believe that this war will be won by eradicating what they believe is sexual sin, and that means homosexuality. And that message gets translated very differently in an African context." Boston mayoral candidate announces proposal to protect LGBT youth: "Martin J. Walsh released Friday what he called a comprehensive platform to protect gays and lesbians, including designated “safe spaces” for gay youths in schools." 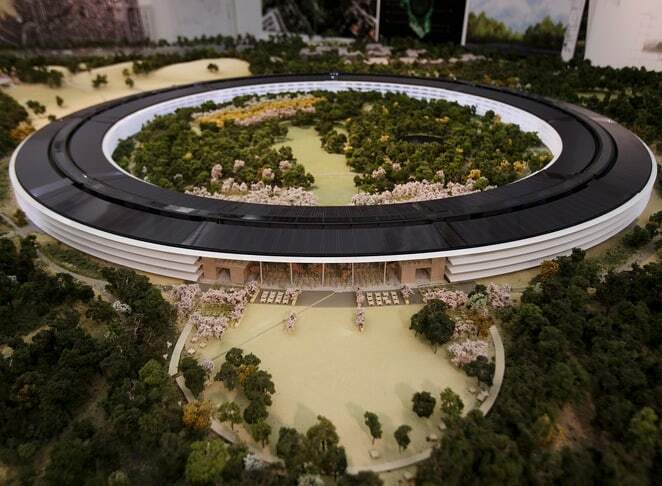 Here's a preview of Apple's upcoming flying saucer-like new headquarters. Several national parks closed as part of the government shutdown have now re-opened – thanks to state money. Graham Norton on camp: "It’s a much harder thing to accept than being gay. Gay is easy. Being camp is difficult in that it comes with judgment all round." Richard Simmons gets doused in purple. Conservative political action committee. whose goal was essentially to notify voters San Diego mayoral candidate Carl DeMaio is gay, has been fined $7,500 violating campaign disclosure laws: "The group, called Conservatives for Gay Rights Supporting Carl DeMaio for Mayor 2012, did not provide the names of its principals or a valid street address, according to the city Ethics Commission, which announced the fine Friday. It also did not keep records explaining its expenditures, the commission said."